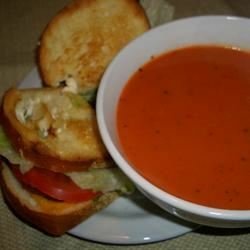 This is an easy one to make, and quick too! Toppings are great added at the table. 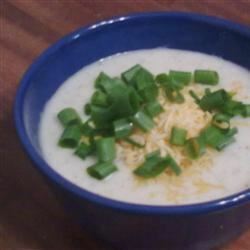 Serve with all your baked potato favorites - chopped green onions, grated cheese, sour cream. 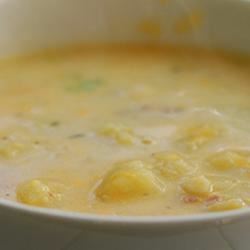 This is a good basic potato soup recipe and very easy to make. You can spice it up like many of the reviewers did or just serve it plain. I made only 3 slight changes. 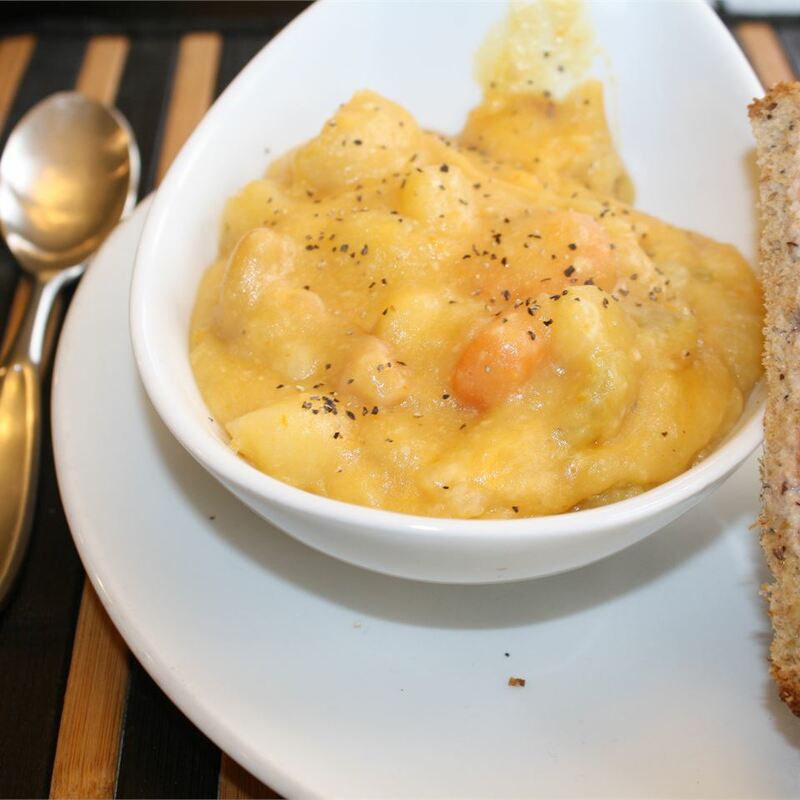 I used 2% milk and put in only 5 of the potatoes because it was very thick...more like a hearty potato stew.I also baked the potatoes in the oven. I don&apos;t care for microwaved potatoes. Next time I think I will add a cup of homemade chicken stock. 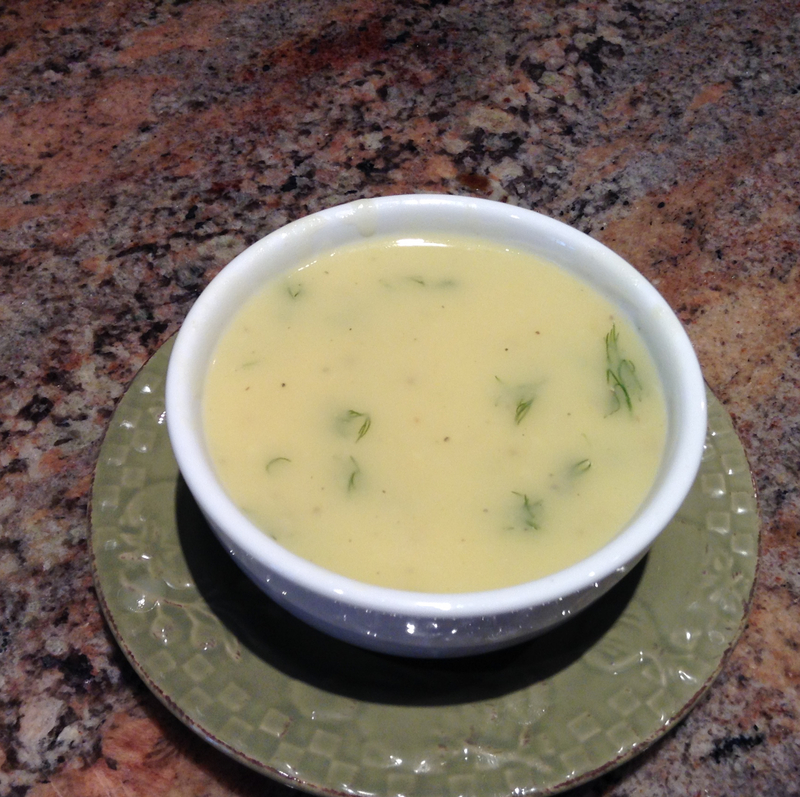 I serve cream soups with "condiments" on the side-- like bacon cheeses or steamed broccoli with a variety of spices like garlic powder nutmeg or fresh pepper. That way my family can add whatever additions they like. 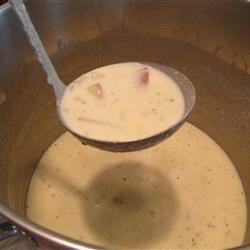 With this potato soup I used a hand held blender to cream about 1/3 of the potato chunks. 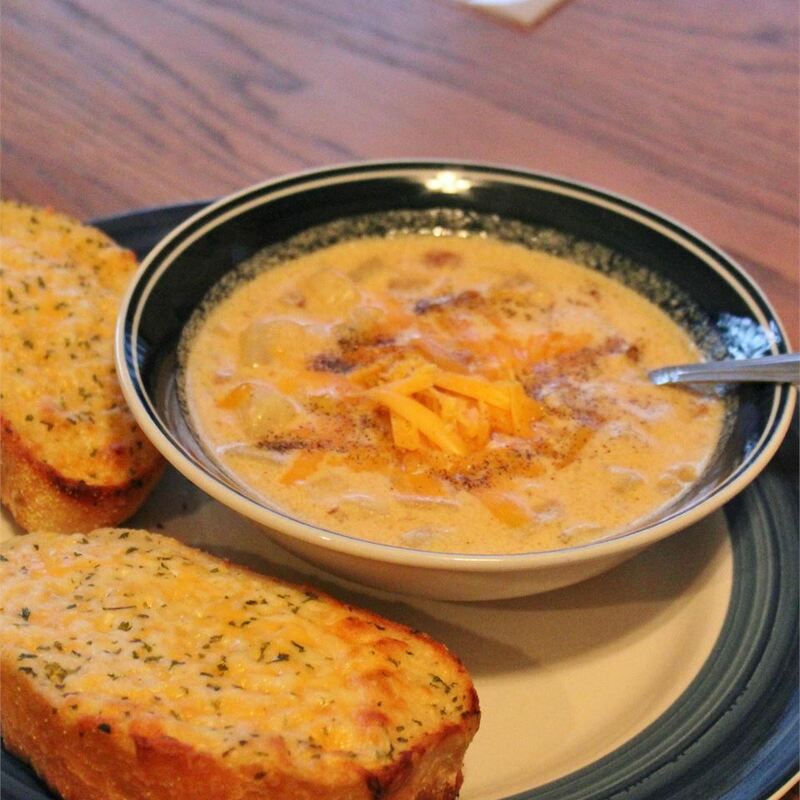 To make this soup more of a complete meal you can add cubes of baked chicken breasts and serve with a crisp green salad and fresh breadsticks. It was also good heated up and served on the second day. A great wintertime lunch. Yuk! This tasted like bland glue. Definitely needs some spices to jazz it up. YUM! 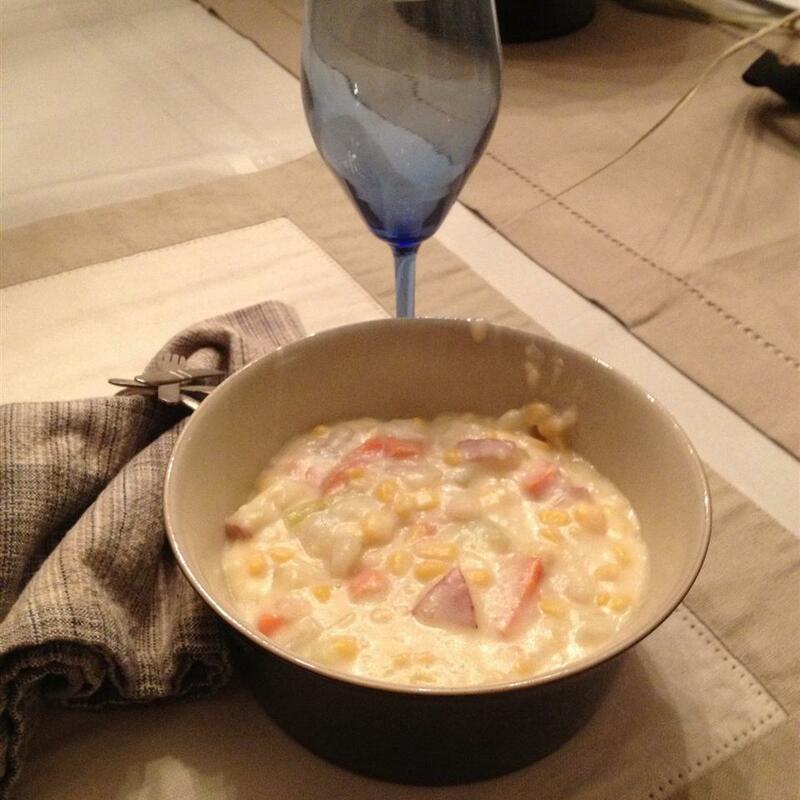 This was a GREAT soup but I can&apos;t give it 5 stars because it did need some help (after which it was great!) 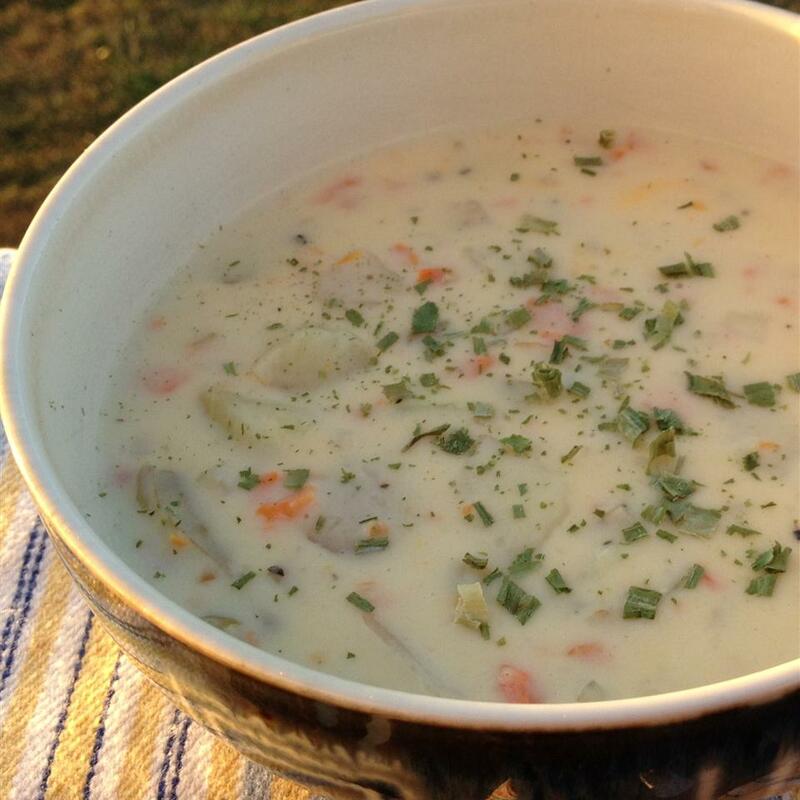 but as others have said the basic soup is a good base to build on. I roasted 1 entire head of garlic (about 10 cloves or so) and added it to the milk/roux combo along with one of the baked potatoes. 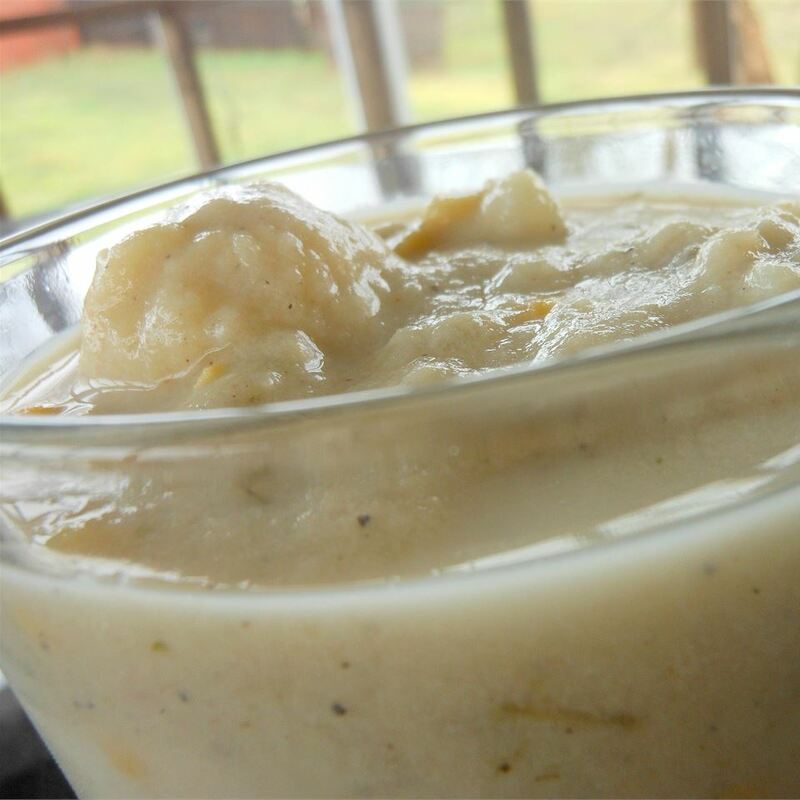 I blended it with my immersion blender until creamy then added the rest of the potatoes. A little shredded cheddar on top and it was sooo good. 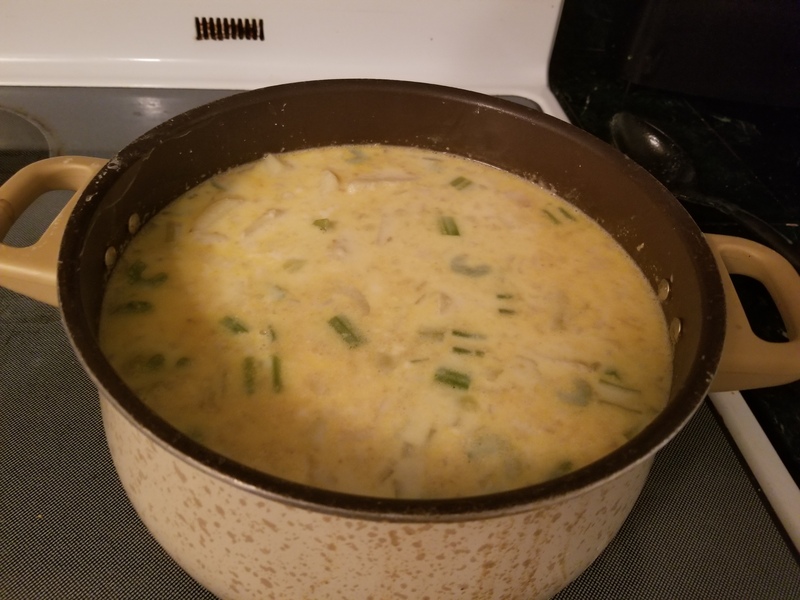 We didn&apos;t even miss the sour cream (skipped it since the soup was already very thick) and also reduced the butter to 1/4 c instead of 1/3 c. I also ended up having to add another cup of milk since it was way too thick with just the 4 cups. 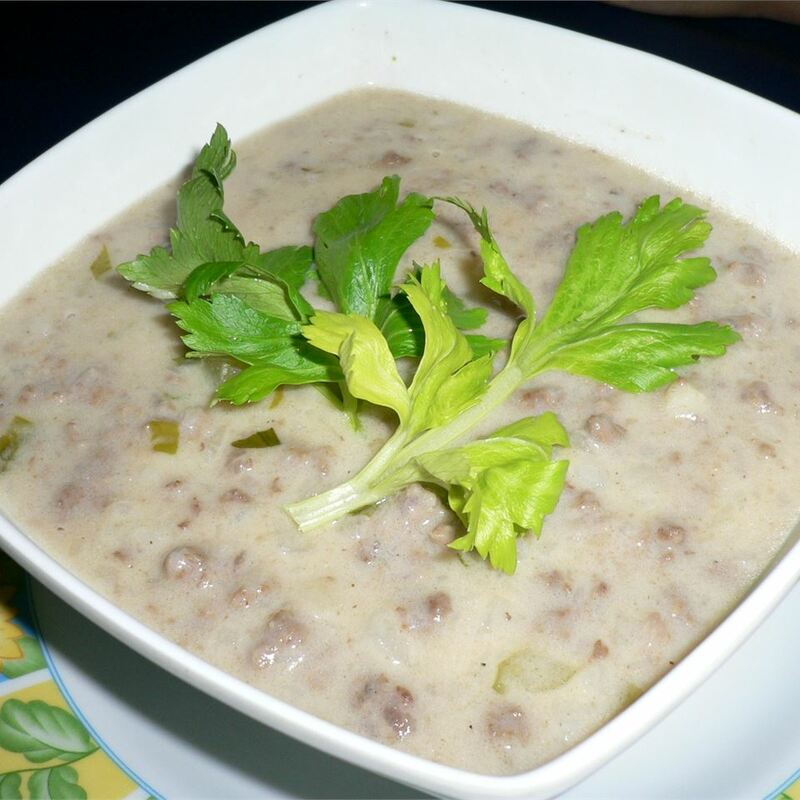 Without the sour cream and reduced amount of butter this is actually a relatively healthy recipe! Definitely a keeper. 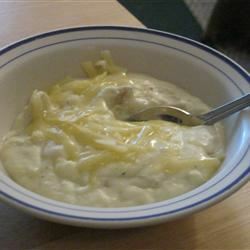 This was good but no wonder everyone loves it...nearly a stick of butter and a cup of sour cream! 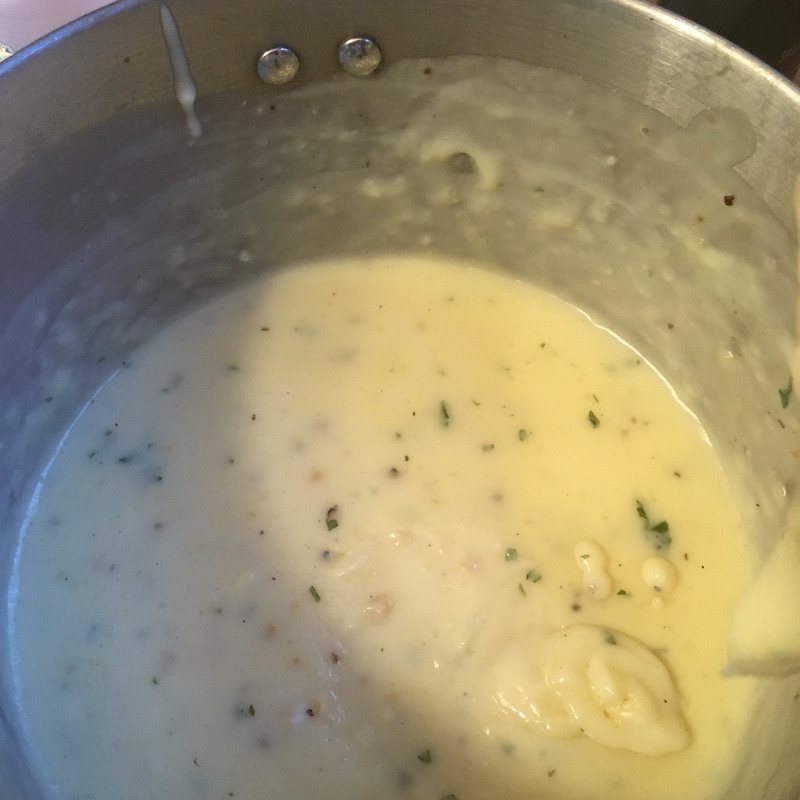 I used half the butter and used my immersion blender to cream one of the potatoes into the white sauce. 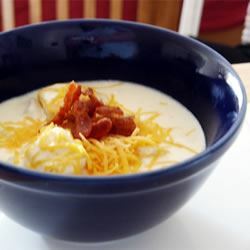 Also used non-fat sour cream. Add spices after potatoes are added...salt pepper white pepper and a teaspoon of butter extract for flavor. 1/2 cup of wine and onions would be a nice addition. 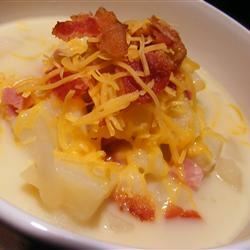 This is an awesome basic potato soup not runny or thin. I used whole milk and it was just touch too thick so I think I&apos;ll add some water in next time or follow the skim milk suggestion. 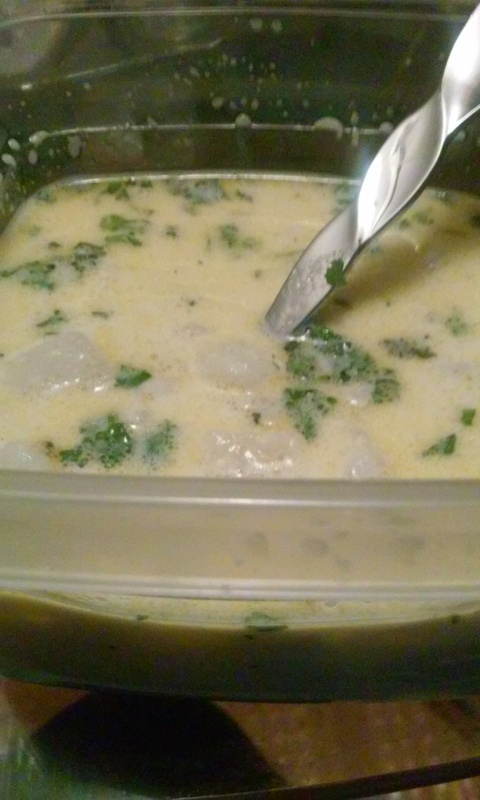 I also added onion powder garlic powder and black pepper to the soup while it was cooking to spice it up a bit. 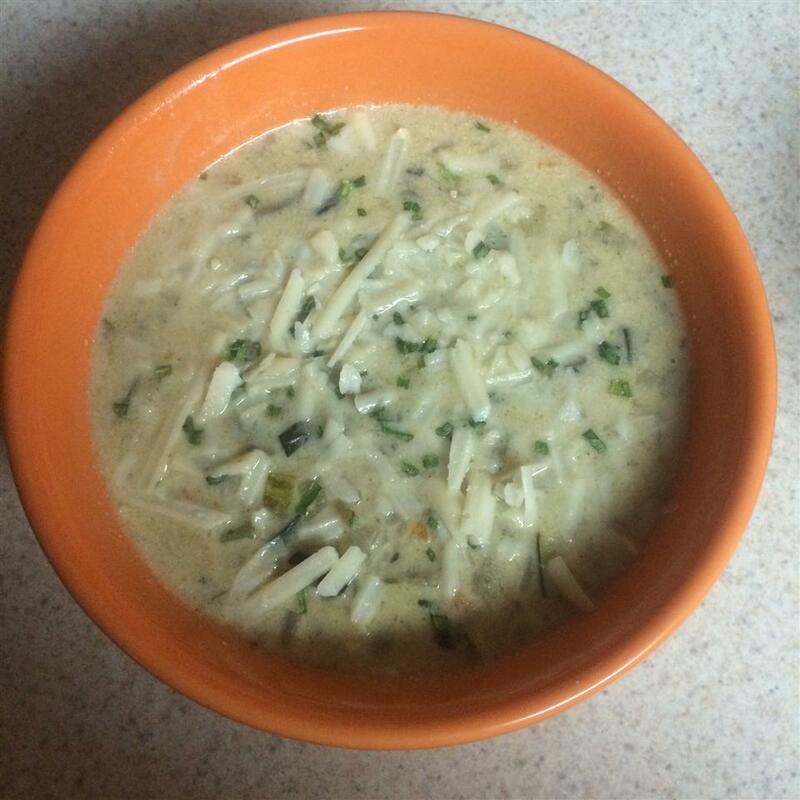 Even my 5 year old enjoyed it and he has expressed his undying hatred for potato soup in the past. For that alone it deserves the highest marks! Great recipe. 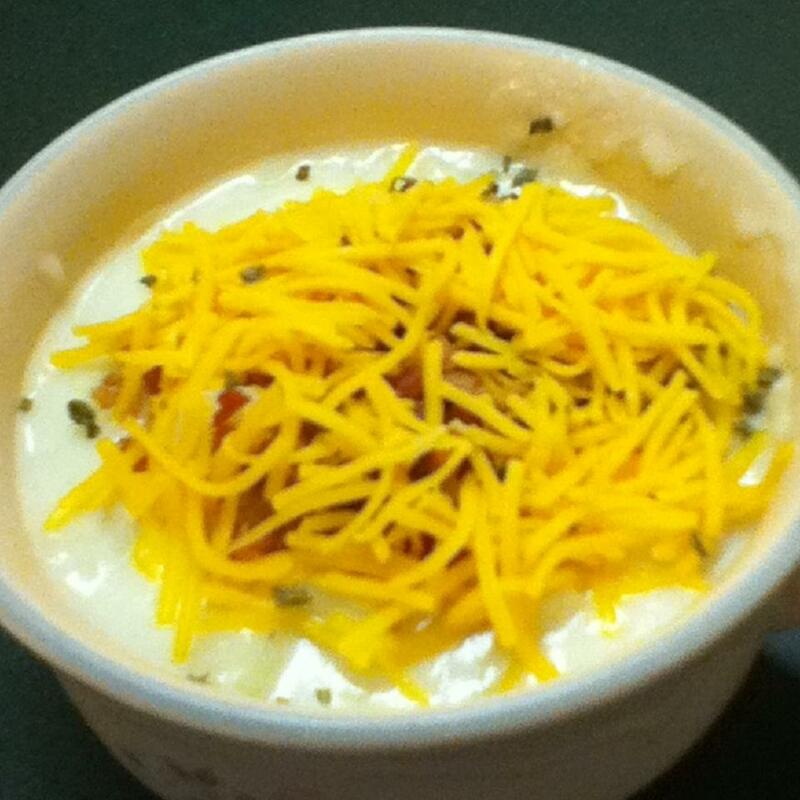 Our family loves baked potato soup. Even my 18 month old. She ate a huge bowl. 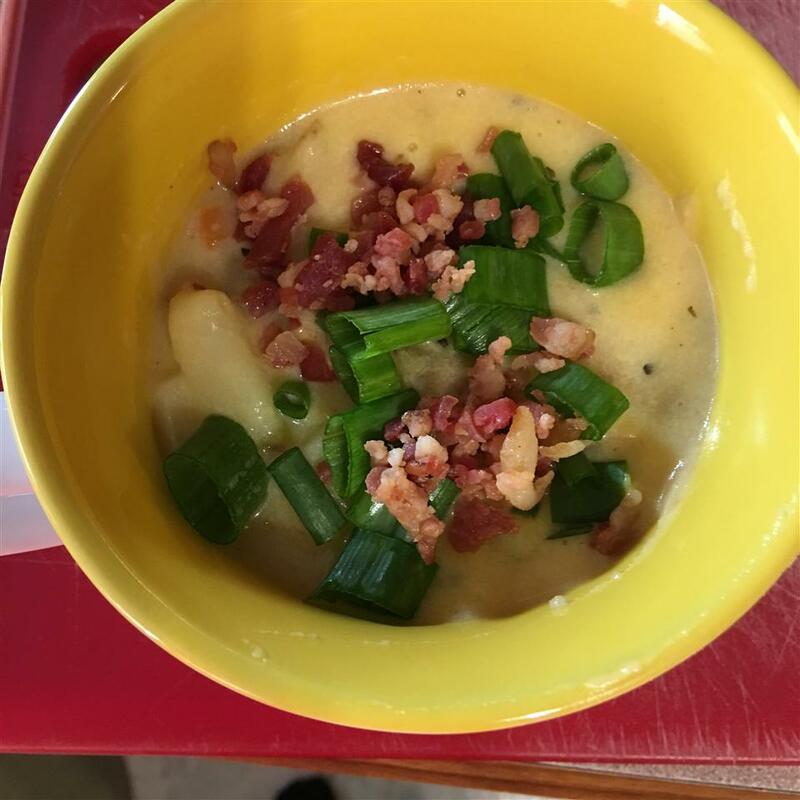 Because we like our soup loaded I added cheese and bacon to the soup. 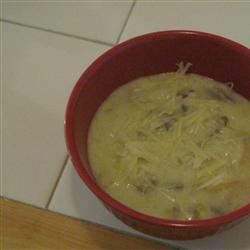 I also had to add some additional milk since my soup got too thick really a minor thing though. This was a great base for individual additions. I added chopped green onions crisp pancetta sliced cooked mushrooms small slices of fire roasted red peppers (jarred) and to some bowls crumbled blue cheese and to other bowls crumbled feta cheese. This is really a WOWER! 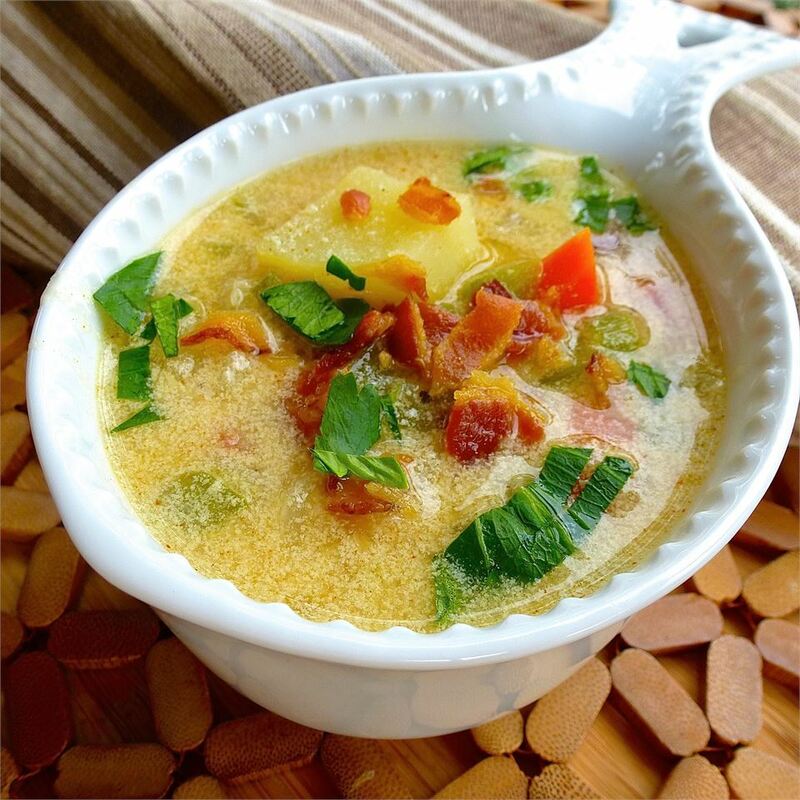 This is a good basic soup but it needs "extras" to be really flavorful. 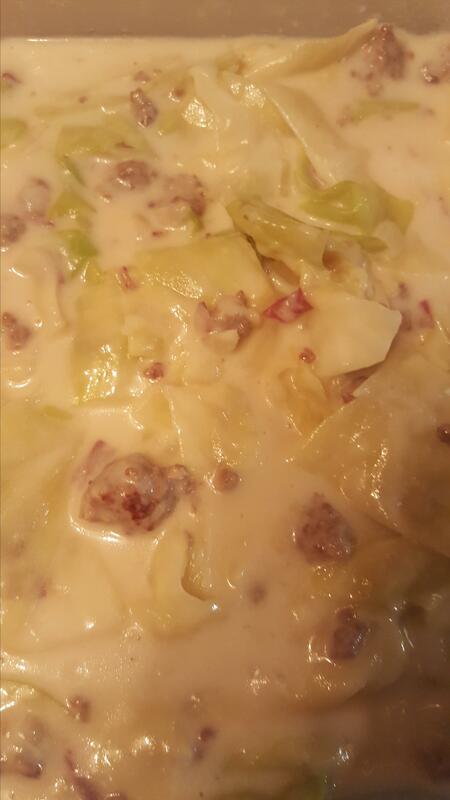 With cheese added salt and bacon it would definitely get four stars.